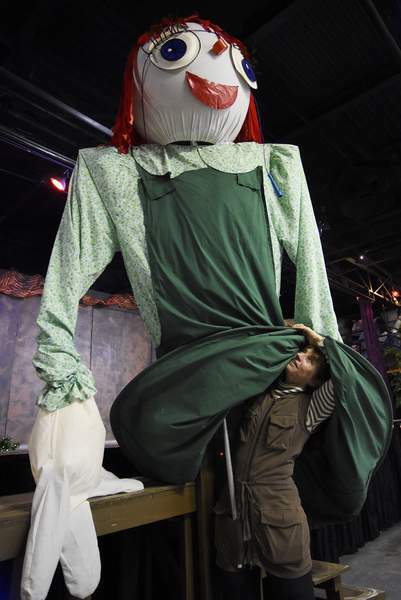 Rachel Von | The Journal Gazette Jeannette Jaquish shows off the puppet used in Sunday's Tomfoolery at TekVenture.The family-friendly event included Irish-themed games and food. Rachel Von | The Journal Gazette Steve Marcus works on making a cellphone stand out of clay while working at on Sunday. 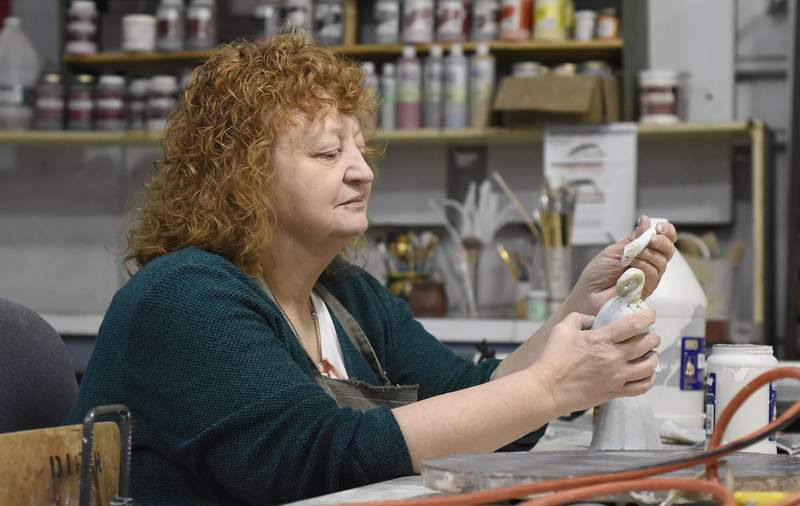 Rachel Von | The Journal Gazette Deborah Slen adds glaze to a garden decoration while working at Tekventure, 1550 Griffin St., on Sunday.